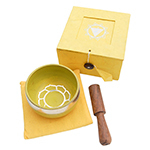 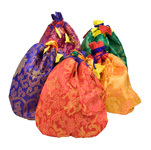 Tibetan singing bowl gift sets are one of our top selling items. 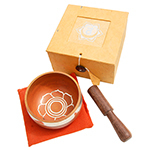 Each box is made from colourful recycled paper and contains a beautifully decorated singing bowl, wooden baton, and a bowl pillow. 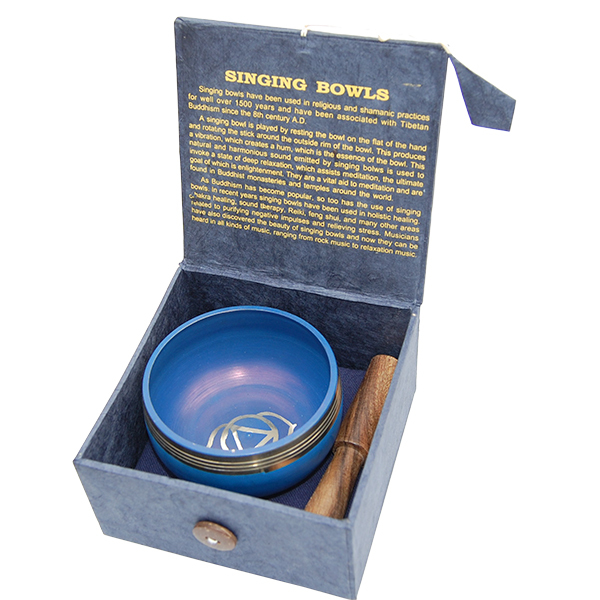 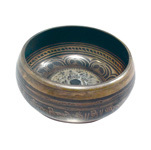 These small singing bowls from Nepal are perfect for beginners but will be appreciated by many. 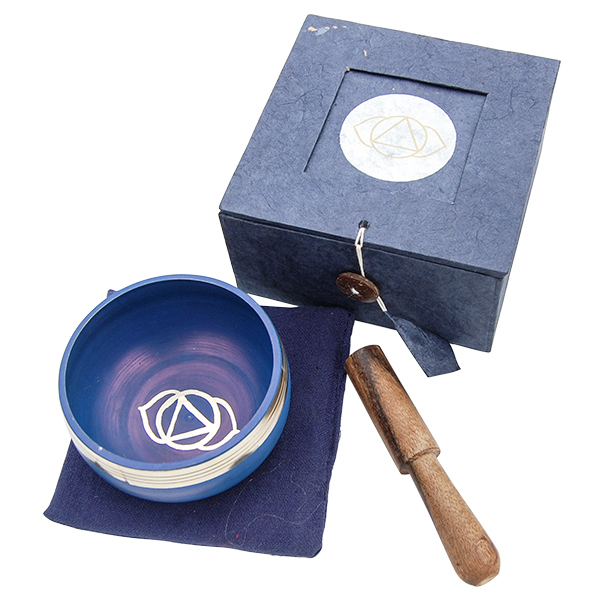 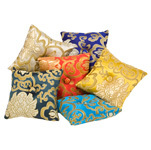 Each bowl matches the symbol and colour of gift box which is made from handmade paper and includes a matching coloured pillow. 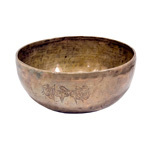 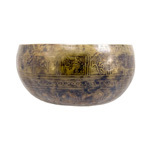 Bowls are made from bell metal bronze and pure alloy of copper and tin.